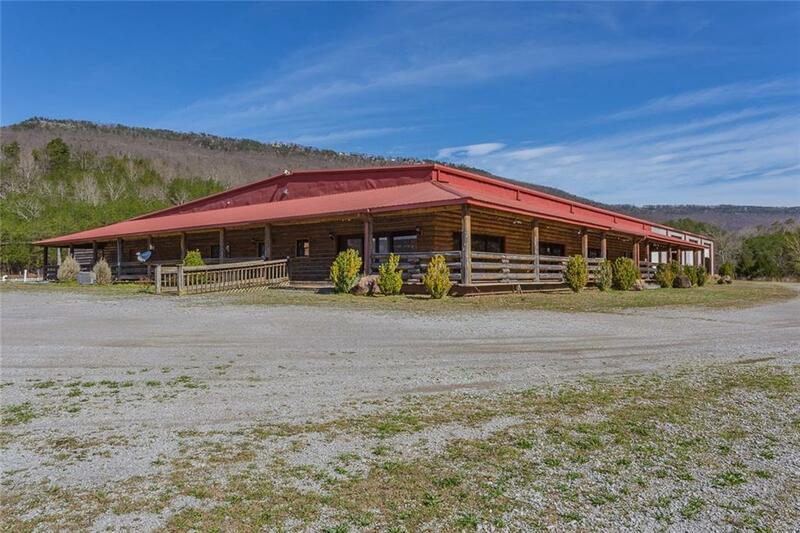 Large commercial bldg on 21 acres w/a log home & 2 stocked lakes, perfect for camp, church or business. Plenty of parking. 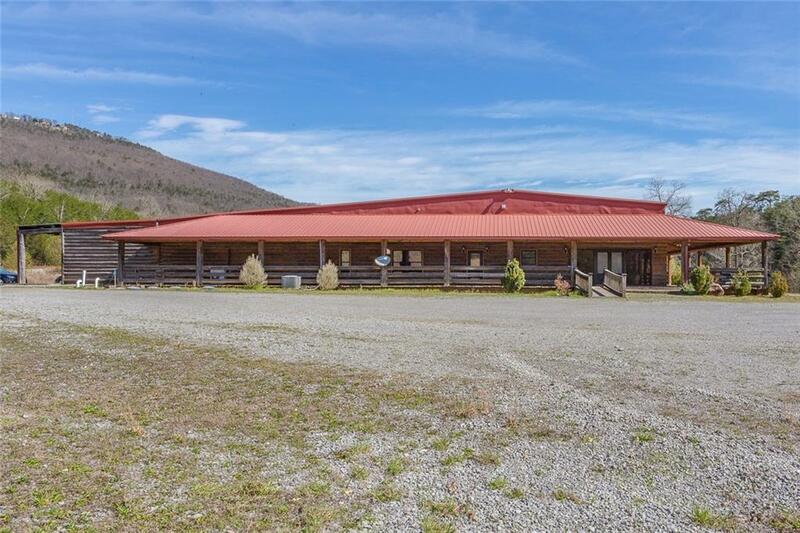 Acreage consists of open pastureland & wooded area w/an abundance of hardwood trees. 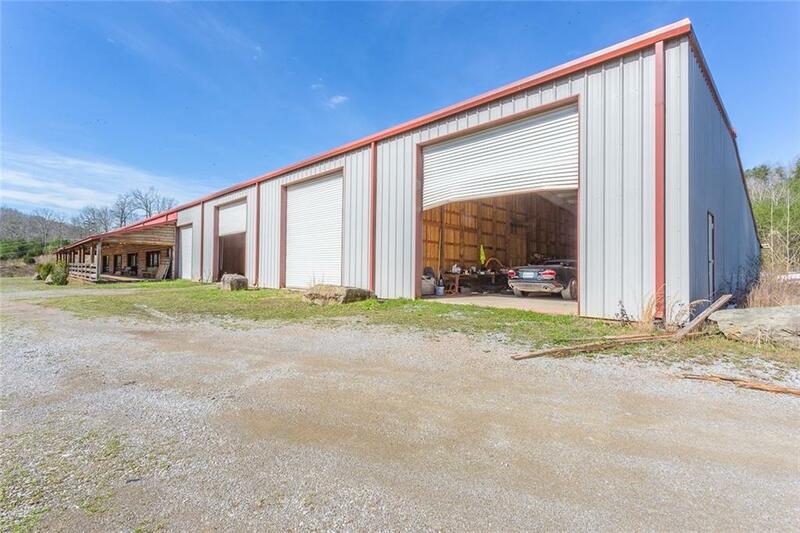 Commercial bldg w/wrap around porch & 4 large rooms & a 1 year old modern spacious apartment w/Brazilian granite counter top in kitchen, custom cabinetry, Carerra marble BA (floor, shower & counter top), rustic barn door, shiplap & more. 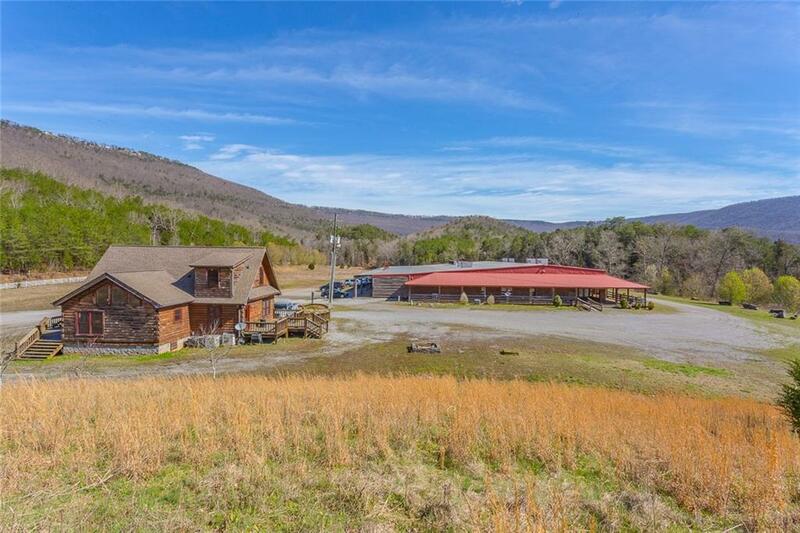 Log Home great for a residence or rental property & offers oversized windows w/gorgeous views of mountains. Endless possibilities!